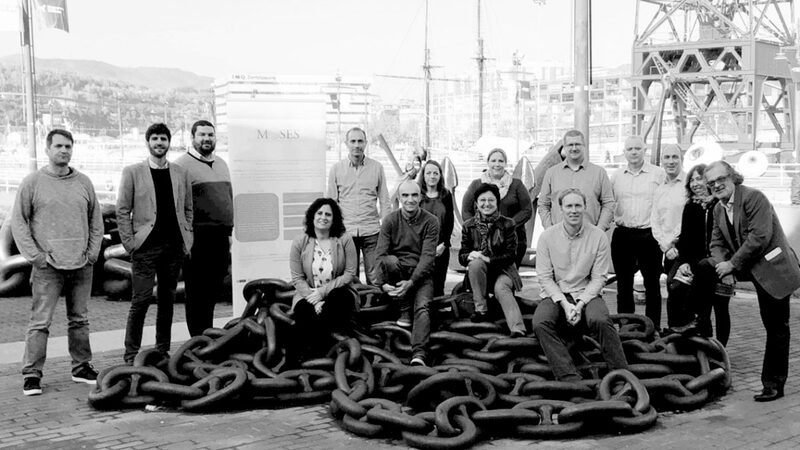 Participants from Spain, Portugal, UK and Ireland took part in the second Partner Meeting of the MOSES Project in Bilbao recently. The group are part of the MOSES project which is funded by Interreg Atlantic Area Programme and looks at blue growth for the key marine sectors. This event also gave opportunity for engagement with a number of Spanish stakeholders in the marine sector, from which the partners gained valuable transnational expertise. Over the next 12 months the project will be working to identify and assess the sectorial pressures of the marine environment in the Atlantic Region, using “Living Lab” case studies to demonstrate sustainable transition pathways and culminating in the development of an integrated marine sustainability toolkit.